My daughter is in a "how-to-draw" phase. 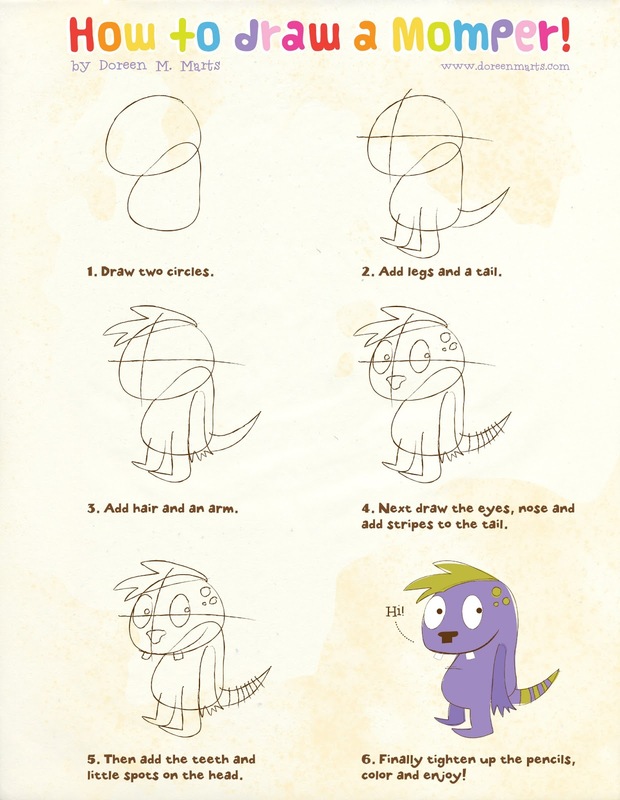 She loves how-to-draw books and she's even made several of her own how-to-draw books. When I heard about the How to Draw a Momper Contest over at Story Panda I knew I'd have to tell my daughter about it--and I wanted to tell all of you about it too. Story Panda, an ipad story telling app, has a new story by Doreen Marts called Mompers. It's a cute tale about a girl who sees monsters everywhere, but when she yells out her warning it comes out as "Mompers!" Starting today Story Panda is hosting a contest where your child can draw their own momper, take a picture, and submit it to Story Panda for a chance to win an original trading card sketch of a momper by Doreen Marts. I know my daughter would think that was pretty awesome. So if you have a little artist in your house head on over to Story Panda's blog for contest guidelines and rules.